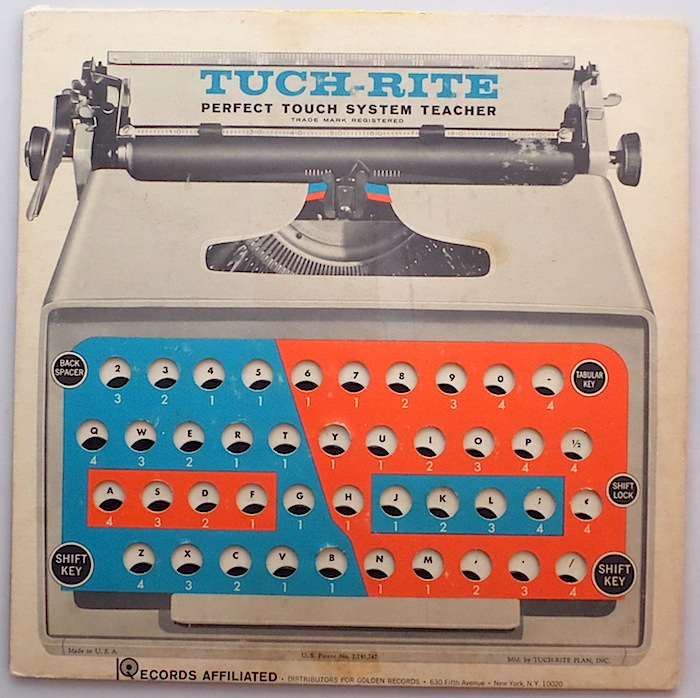 I can accept the spelling of “rite,” but “tuch” offends. 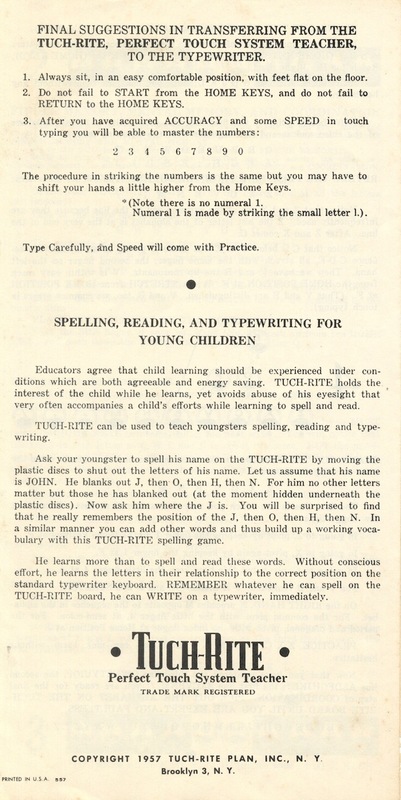 Do not attempt to practice on a typewriter until you have mastered the TUCH-RITE lesson completely. 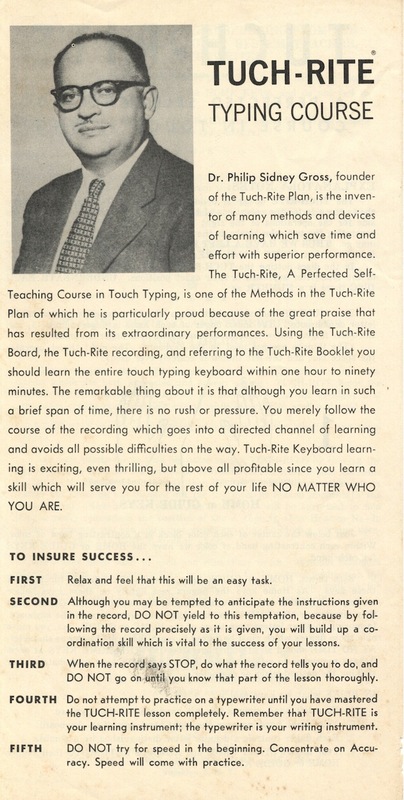 Remember that TUCH-RITE is your learning instrument; the typewriter is your writing instrument. 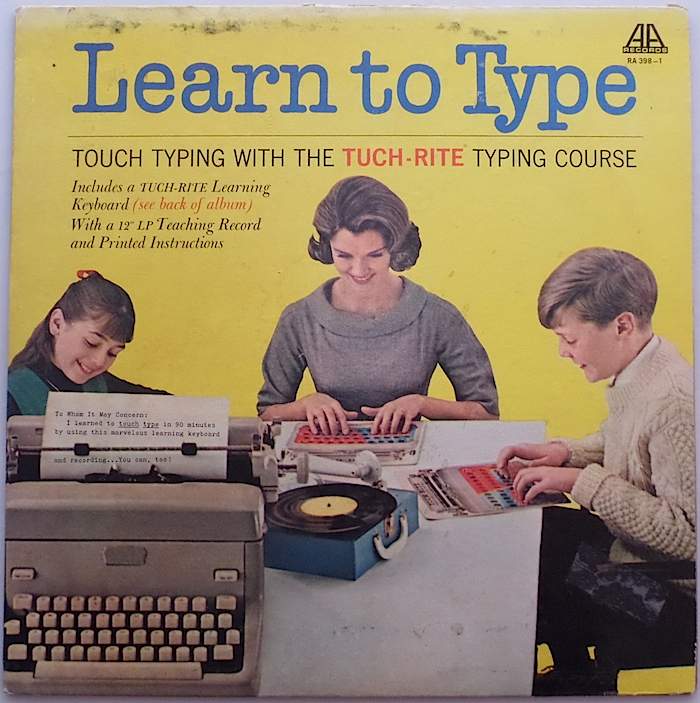 Until you have mastered typing, keep pounding away on that album cover! 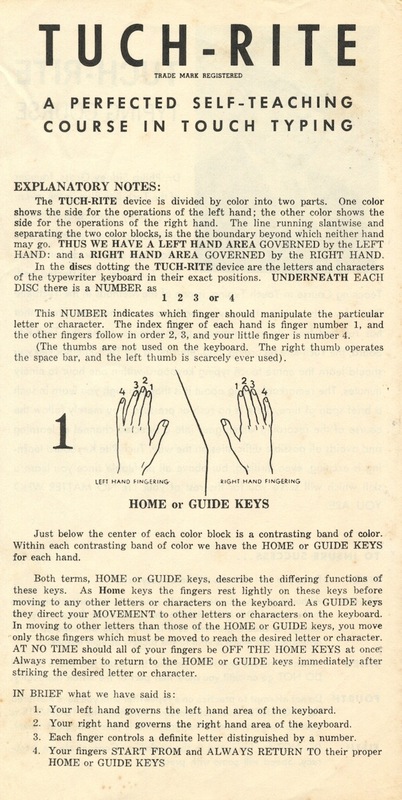 The Tuch-Rite system was published in 1957, and advertised as a psychological tool. Incredible, really. Quick update: My turntable is broken, thus the recording I originally posted was defective. You can hear this album here. Presumably, this family bought three albums, though I might recommend the Royal typewriter instead.